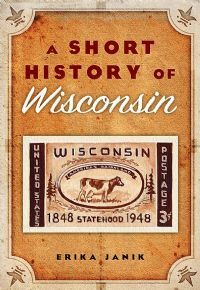 My book A Short History of Wisconsin recently (in the last few months anyway) became available as an ebook. And it’s digital self just won a silver prize in the history category from eLit Awards, which, according to their website, recognizes the “very best of English language digital publishing entertainment.” That’s right – my history book has ceased to be just a book and is now “digital publishing entertainment.” Awesome. Thanks eLit!